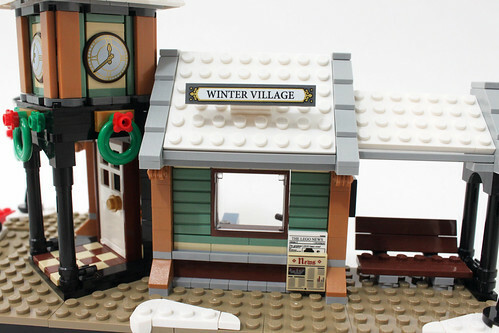 Traditionally, LEGO has released a new set every year for their Winter Village line and for this year’s offering, we have the Winter Village Station (10259). 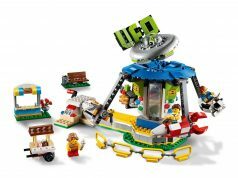 It has 902 pieces and retails for $79.99 which may or may not be a good value but we’ll see. 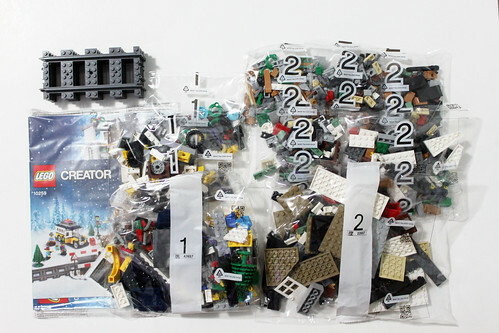 The contents of the box incldue 9 numbered bags, the instruction booklets, and the train tracks. 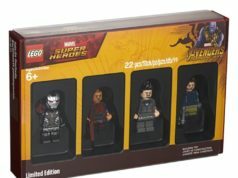 There are five minifigures that are in this set, all of which are just generic characters that you can use freely in other layouts. 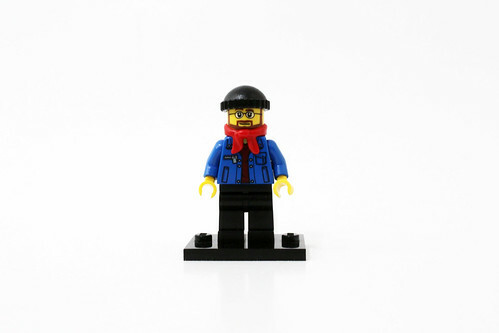 The bus driver has on a red sweater with a blue jacket with stitching detail on the pockets along with a red scarf. His facial printing shows him with a full beard with glasses. 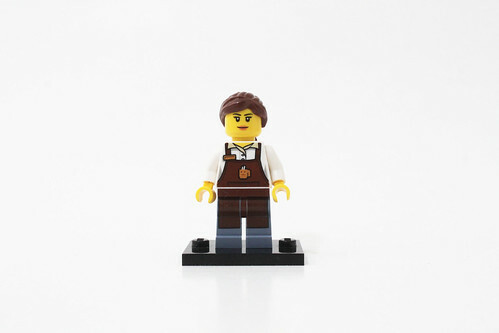 The barista is probably my favorite minifigure out of this set. She has on a white shirt with a brown apron that goes down to her legs. There’s also printing of a blank name badge as well as the symbol for The Coffee Chain. 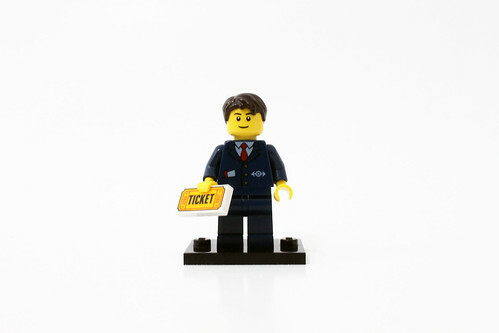 The ticketing agent wears a dark blue suit with a red tie. 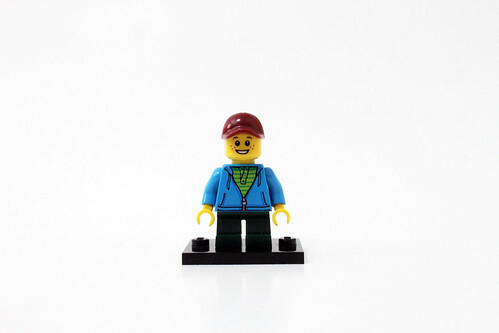 As a mentioned before, he’s a very generic minifigure that can be used in other builds. The grandmother has on a light blue sweater which is a fairly new piece. 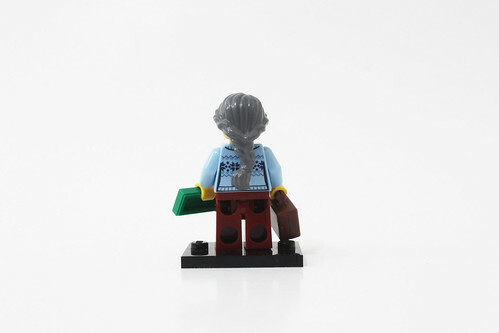 Her dark gray hair, however, is a very rare piece as it only appeared in the LEGO Ninjago Temple of Airjitzu (70751). 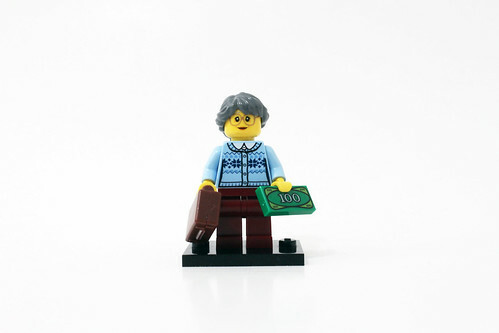 Her accessories include a suitcase and a printed bill. Finally, the child has a blue hoodie over a green shirt with short dark green legs. His facial printing shows him with a big smile with some freckles. 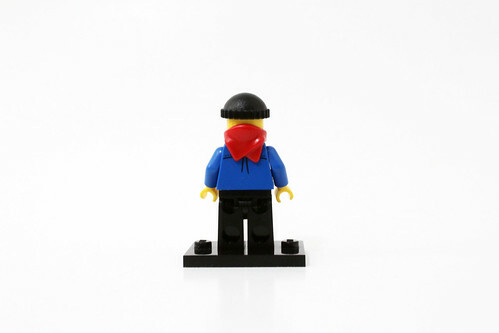 The dark red cap completes his look. 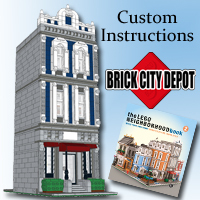 The first booklet instructs you on how to build the bus and part of the tracks. 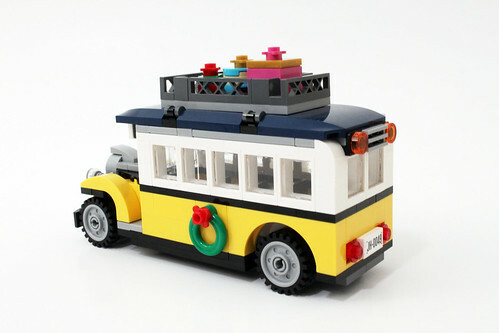 The bus is six studs wide and about 18 studs in length. The front of it has a very classic look to it using a window with a new black lattice for the grill along with some lightsabers with clear 1×1 round trans-clear tiles as the headlights. 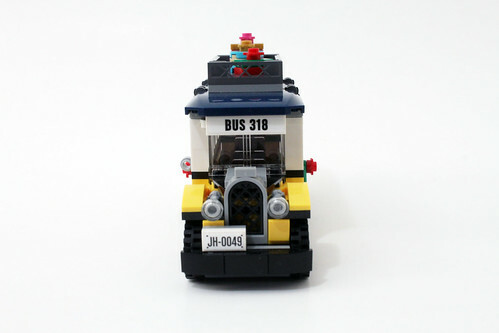 The license plate is a sticker with the intials of LEGO Designer John Ho. The front of the roof goes about a stud past the windshield and it doesn’t look bad at all. 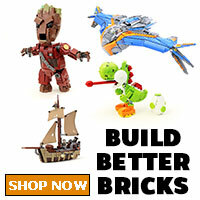 It is easily removable as it sits on only a couple of studs. 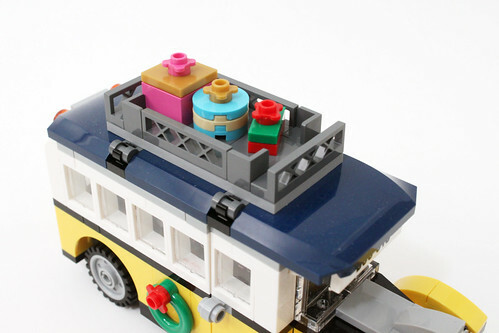 On the top of the roof, there are some colorful luggage that sits snug. Inside the bus, there are four seats available, three of which are for passengers. 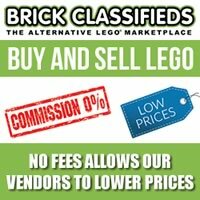 Unfortunately, some of the minifigures do not fit well in it. The grandmother’s hair is a bit big for the seat while the child has to stand on it. On one side of the bus, there’s a door that is on hinges to open and close it. 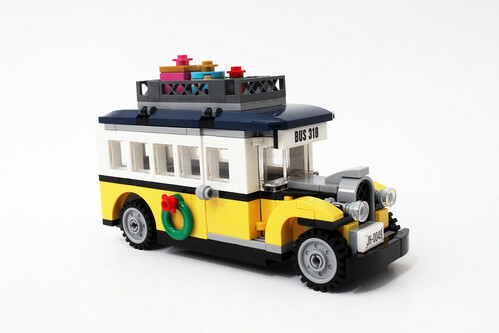 It is perfectly incorporated to the design and color scheme of the bus itself. 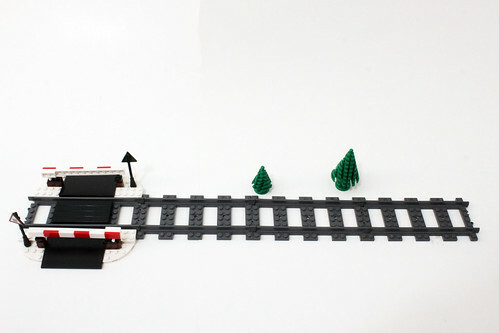 The rest of the build in the first booklet is a level crossing for the tracks. It does look really good with the ramps and the flat tiles. There are a couple of stickers for the track warning signs. The gates on either side are on hinges so you can move them up or down. Attached to this section are the four straight track pieces. 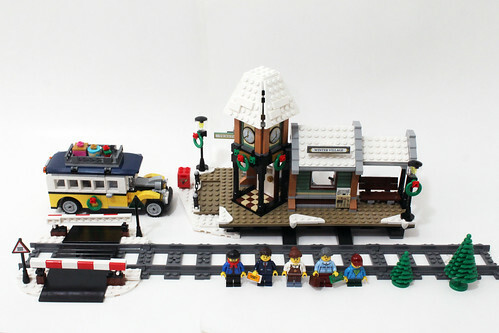 The rest of the build is for the train station itself. 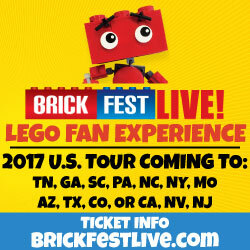 It’s fairly straight-forward with some interesting building techniques. One of which is the door frame for the station. 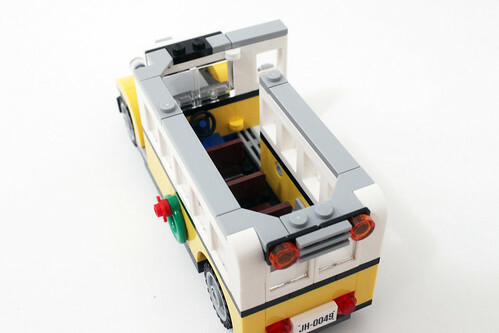 It uses a turntable piece to give it a 45 degree angle for the door. On the inside part of the door area, there’s a checkered pattern using tan and dark brown 1×1 tiles. 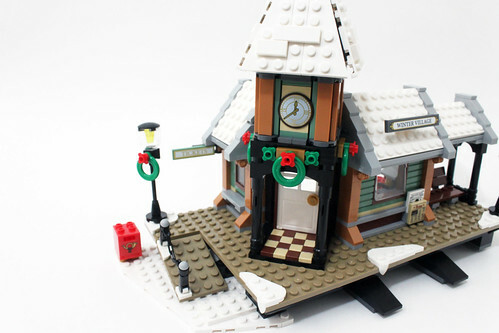 Above the door is the small clock tower which uses some modified bricks along with some clips to hold the printed clock faces. 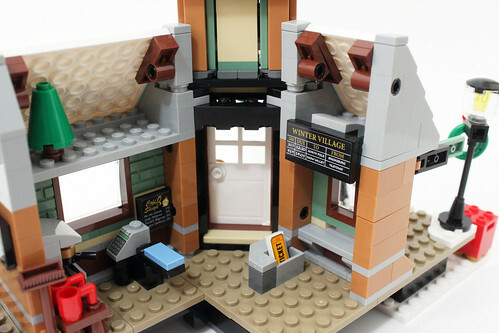 The side walls uses some Travis bricks to attach the tiles on which actually looks pretty nice. To the left of the entrance is the ticket counter. It’s a one-man operation so it’s a pretty small area. On the outside, there’s a 1×4 sticker above the counter. 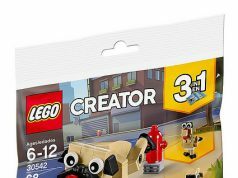 On the inner side, there’s an angled counter with a storage for a printed ticket tile. Above where the agent stands is a stickered 2×4 timetable. On the other side is The Coffee Chain coffee shop. 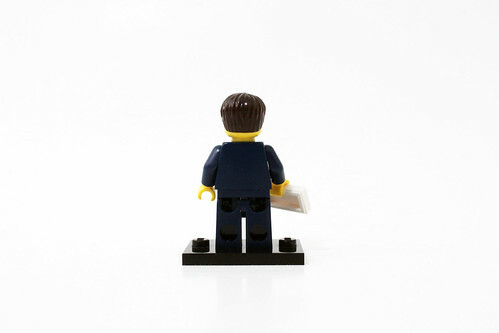 The outer part of it is fairly bland but it does have a small newspaper stand on the lower right corner. The other side of the shop has a little area for the coffee maker and some mugs for customers. 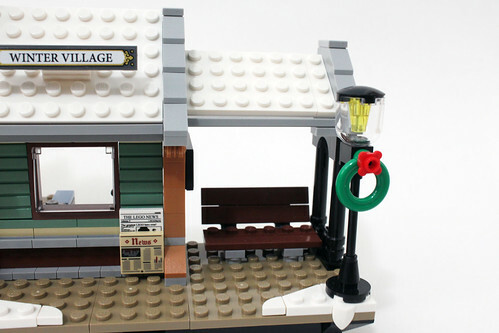 At the end of the platform is a simple brick-built bench. 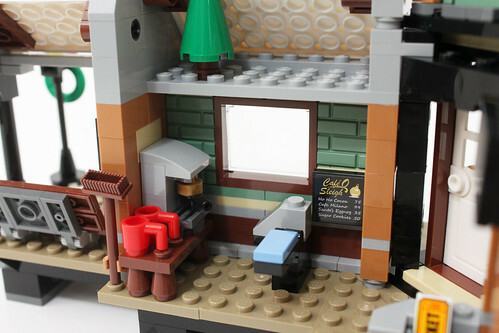 On the coffee shop wall above the bench is another stickered 2×4 timetable. 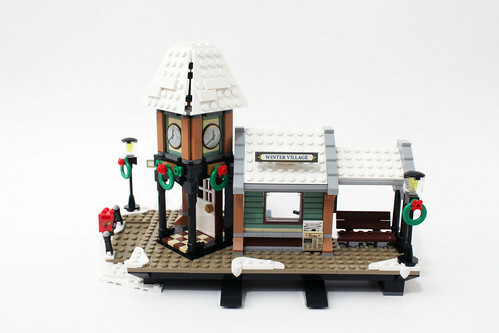 The new LEGO Creator Winter Village Station (10259) is meant to be an addition to last year’s Winter Holiday Train (10254). 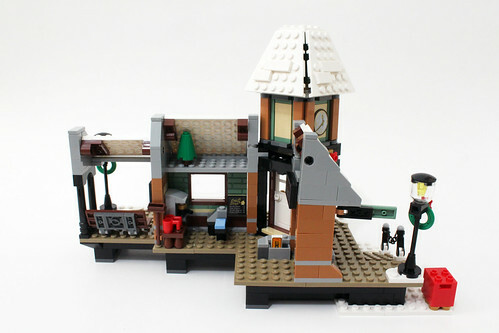 The station is somewhat small as I would have preferred a slightly larger one with more details. 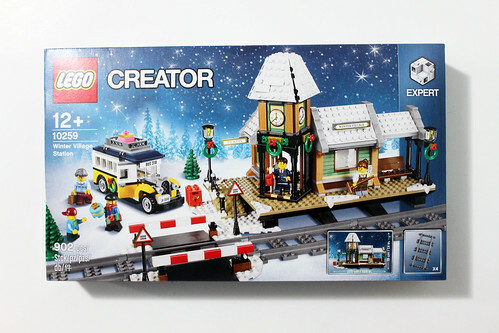 In its current form, there’s not much playability with the station but the other items that are with the set are the opposite. The bus has a vintage style look that I really like although there are some issues with it that can’t be fixed without modifications. 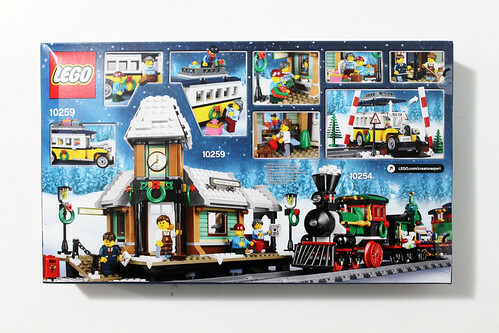 Although there are only four track pieces included, it is fine by itself but enhances the tracks if you have last year’s winter set by making it larger. 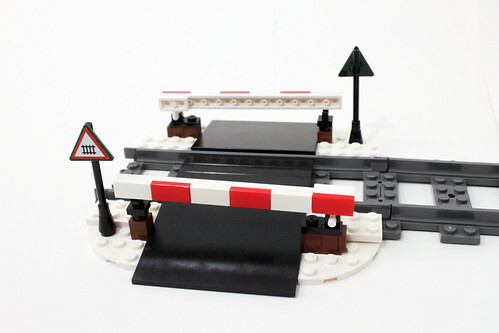 The crossing ramps for it is a nice addition but doesn’t work that well if you have a small round track since you’ll probably need another on the opposite side.